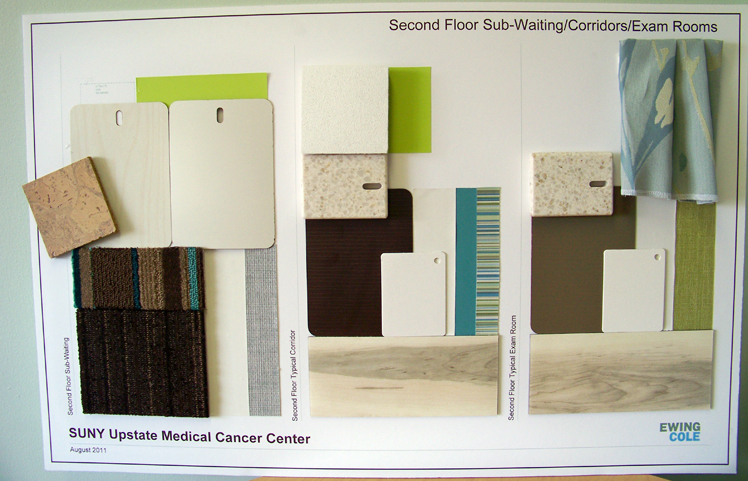 The Upstate Cancer Center is looking for artwork with a “healing through nature” theme to enhance the building that is expected to be complete in spring 2014. The 110,000-square foot center, attached to Upstate University Hospital, will serve adult and pediatric patients. 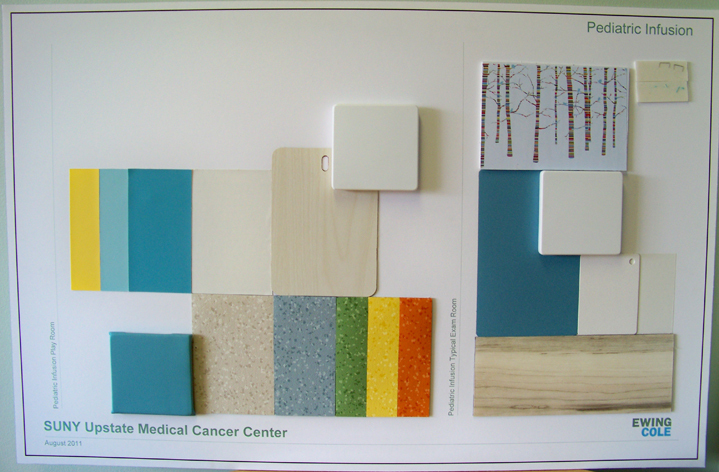 Artwork should represent healing through nature, lend a sense of calm and peace to the Upstate Cancer Center, and fit in with the features of the building which include glass walls etched with ferns and surfaces that look like wood, cork and fields. The color palette includes sky blue and grass green and other natural colors. Because local landscapes offer familiarity and comfort, the center seeks representational and abstracted images of both the Central New York landscape and other natural environments. Images of other locales offer mental escape for patients and families. Images of people and/or nostalgia should not be submitted because research shows possible negative associations. The center is seeking two sculptures for the exterior of the building and lighted features or sculptures for the rooftop garden. In addition, about 125 two-dimensional pieces of unframed artwork are needed for the walls in corridors, exam, patient and treatment rooms. The dimensions are as small as 12 inches by 24 inches and up to 56 inches by 96 inches. Two-dimensional artwork could include paintings, photographs (in color, black and white or sepia), prints (etchings, lithography, seriography), collage or tapestry. Professional artists can obtain a request for proposal by contacting Heidi Chapman at chapmanh@upstate.edu. Submission deadline is Nov. 29. This entry was posted in cancer, community, entertainment and tagged academic medical center, artwork, breast cancer, cancer, central new york landscape, Golisano Children's, Golisano hospital, Golisano pediatrics, health care blog, health care social media, hospital blog, hospital social media, medical blog, SUNY, syracuse health care, syracuse hospital, university hospital, upstate medical, upstate university. Bookmark the permalink. I am a fine art artist and on the board of the CNY Art guild. For the past ten years I have donated art work to the Indian Rivers Lakes Conservancy for their annual auction to support a student scholarship in environmental studies. In the past two years I have had paintings accepted into The Juried Thousand Islands Arts Center “Along the Rivers Edge” show in Clayton NY. I also have two paintings currently in the 65th Annual North Country Arts Council Juried Fall Art Show in the Dulles State office building, Watertown NY. I would like to donate a 12 x 24 1-1/2 deep canvas acrylic painting that I would begin work on now with the colors of the Cancer Center in mind. Please visit my web site and let me know if you would be interested in my style of work. Thank you.